Bridgestone Europe has entered into an agreement with TomTom to acquire its telematics business, for a cash consideration of €910 million. This investment builds on previous work at Bridgestone to strengthen its digital capabilities in EMEA. 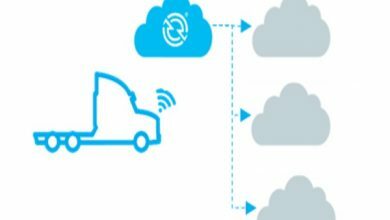 Specifically, the company has built capabilities in data collection from sensors, data platforms and analytics, launching a range of digital solutions and applications such as Tirematics, Mobox, FleetPulse and Bridgestone Connect. The company has identified digital mobility solutions and fleet solutions as a strategic priority and TomTom Telematics fits Bridgestone strategically as it has a large and growing installed user base of 860,000 vehicles of which more than two thirds are commercial. It also has a tailored go-to-market system and a premium digital offering including WebFleet and NextFleet.Its strong underlying technologies based on data analytics rely on an open, scalable, secure and cloud-based platform. It handles on average over 800 million GPS positions, 3.3 million trips, and 200 million inbound messages per day. Thus TomTom Telematics will help Bridgestone accelerate on its journey to becoming a mobility solutions leader in the region, and the combination of both companies’ offerings will allow Bridgestone to cross-sell tyres and solutions to a larger customer base. Furthermore, the data access will enhance Bridgestone’s virtual tyre development and testing as well as connected tyre innovation benefiting all customers including OEMs.